The boys and I rewarded ourselves with cleaning at home to get outside at the park today. Ronan brought his camera and was a little photographer and I think this got Maddox a little jealous that he did not have his own camera to use. Good thing he has a birthday coming up! Tonight after the boys went to bed I decided to watch one of my all time favourite films with Audrey Hepburn called Roman Holiday. If you have not seen this film yet, I recommend watching it tonight! 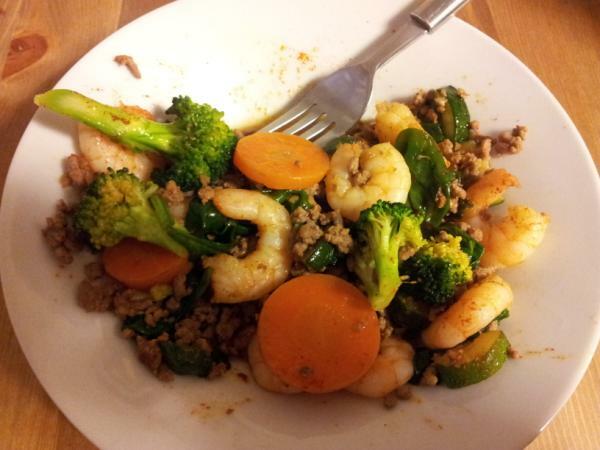 PALEO: Spicy stir fry with ginger beef, cayenne peppered shrimp, carrots, spinach and zucchini.